Wells Fargo's board of directors tried to extinguish the firestorm facing the bank last September by launching a massive investigation that vowed to leave no stone unturned. After more than six months of digging into a broken culture that allowed for some two million fake accounts to be created, the independent board investigation is finally wrapping up. Now, Wells Fargo (WFC) is bracing for the release of the findings from the wide-reaching probe. Wells Fargo has said the findings will be disclosed prior to the bank's shareholder meeting on April 25. Stephen Sanger, the chairman of the Wells Fargo board, promised in September that the investigation would "follow the facts wherever they lead." The board hired the law firm Shearman & Sterling to conduct the probe and a person familiar with the matter previously told CNNMoney that "many dozens" of lawyers are involved in the "massive" investigation. Depending on what the probe finds, more disciplinary action could be taken, including against current employees and even executives in the Wells Fargo C-Suite. The board has said that includes clawing back more compensation and "other employment-related actions." Sanger vowed in September to take "all appropriate actions to reinforce the right culture and ensure that lessons are learned, misconduct is addressed" and systems are fixed to prevent a repeat. 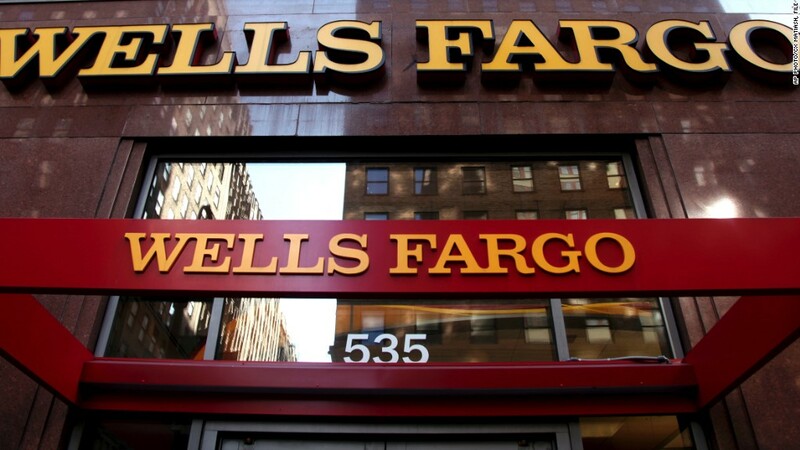 It's possible the results could also be used as ammo for the more than a dozen other probes and lawsuits that Wells Fargo is facing, including investigations from the departments of Justice and Labor and the Securities and Exchange Commission. "Whatever is uncovered is part of the rebuilding of the brand promise of Wells Fargo," said Columbia Business School professor William Klepper. "Anything short of a full disclosure with acceptance of its consequences will impede the restorative process," he said. Besides hiring Sloan to replace longtime boss John Stumpf, Wells Fargo has taken numerous steps aimed at restoring trust with customers, employees and shareholders. Most importantly, the bank replaced the unrealistic sales goals that leading shareholder Warren Buffett said "corrupted people." Wells Fargo also stripped Sloan and top execs of their 2016 bonuses, and it recently reached a $110 million preliminary class action settlement to compensate customers impacted by the scandal. This week, it took out a full-page ad in the Wall Street Journal, USA Today, the Los Angeles Times and other media outlets in 30 markets. The ad thanked customers for sticking by "as we have worked to make things right." Jeffrey Sonnenfeld, an authority on corporate governance at Yale, said the Wells Fargo board "acted as if it were asleep in the early fall and had been too trusting of management." However, Sonnenfeld credited the board for promising to conduct a "very thorough, transparent and non-defensive" investigation and for hiring a "responsive" CEO in Tim Sloan. But Wells Fargo stakeholders will be watching the board investigation for signs that directors are truly holding management accountable for a culture gone awry. The former CEO told Congress that he wasn't notified of a serious fake account problem until 2013. CNNMoney obtained a 2007 letter addressed to Stumpf that warned of widespread "unethical (and illegal) activity" and the "routine deception and fraudulent exploitation of our clients." CNNMoney wasn't able to determine whether the letter and a similar one to the board was actually sent, nor if Stumpf read or personally received them. The Wells Fargo board said it would include the letters in its independent investigation. Were current Wells Fargo leaders unaware? Current CEO Sloan didn't come up through Wells Fargo's sprawling retail bank, but he did serve as a senior executive prior to 2014 as chief financial officer and chief administrative officer. Sloan was also chief operating officer between November 2015 and October 2016. How many whistleblowers were retaliated against? At least a half dozen former Wells Fargo workers have told CNNMoney they were fired after calling the bank's confidential ethics hotline. This week, the Labor Department ordered Wells Fargo to rehire a whistleblower and warned it may tell the bank to welcome back one more.